If you have any information about the history of a specific cab at your location, please leave a comment or email us at chzk @ luaduck dot co dot uk! We’d love to find out more about the imports! History of other machines (SDVX, ReflecBeat) are to follow. The histories of the 5 remaining Beatmania machines in Europe, as far as they’re backtraceable. Numeration starts with the oldest known machine and moves up to the newer ones. (? ): Transferred to Konami Europe, possibly as a machine for displaying or even locationtesting. Probably never stood in a real arcade, as it shows very little wear, especially on the buttons. June 2013: Konami officials approach the stand of the nonprofit arcade museum “For Amusement Only e.V.” at Gamescom Cologne. They offer to donate the machine, as it would otherwise be scrapped. September 2013: The machine is made available for public play at the arcade museum Seligenstadt, near Frankfurt. For a german article on the machine’s first public debut in years, see this link. (? ): Publicly available at Wesołe Miasteczko in Katowice, Poland. (Pre-2013): Machine gets transferred to a sports hall (?) in Władysławowo on the northern shore of Poland. So far, I’ve been unable to find more information on the state of this arcade or the machine. A spreadsheet of northern polish arcades from 2014 kindly maintained by Lisek shows an arcade hall in the same street carrying a DanceManiax cabinet, but no 4th Mix. 2015: The machine resurfaces during another one of Lisek’s trips to Władysławowo. Pre-2012: Publicly available at the Atomica Bowling Center at Galeria Mokotów in Warsaw, Poland. 2012: Early this year, the bowling center closes, forcing the machine to return to national arcade machine distributor “Joker“. 2013: “Joker”, unable to find an arcade willing to buy the 6th Mix machine off of them, put up an offer on Ebay for 600€, apparently hoping to sell it to a german-speaking country. The offer ends in February the following year with it being sold to the Play:Right museum in Ikast, Denmark. 2014: The machine is being held in storage indefinitely as the danish arcade museum goes through a process of finding investors to keep it alive. 2013: Imported by a private collector in the Netherlands as a Beatmania Core Remix. Later converted to 7th Mix, with the Core Remix board donated to the dutch Nationaal Videogame Museum. June 2017: Publicly on display at RetroPlanet Zoetermeer until October that year. Occasionally board-swapped with a Complete Mix 2. 2012: Turns up at Player Chênée, in Liége, Belgium. Together with some other machines, it’s available for play every second weekend at the gaming nights hosted by the games shop. October 2013: The cabinet is sold for an undisclosed sum to a private collector associated with DDRBelgium in Tournai. March 2016: The cabinet is bought by Bemani BeNeLux and subsequently brought to Akedo Lille where it’s made publicly available once again. June 2017: The cabinet is moved from Akedo Lille (now called Booble Café) to a new location in Alphen aan den Rijn, Netherlands. The histories of the individual Beatmania machines, as far as they’re backtraceable. Numeration starts with the oldest known machine and moves up to the newer ones. 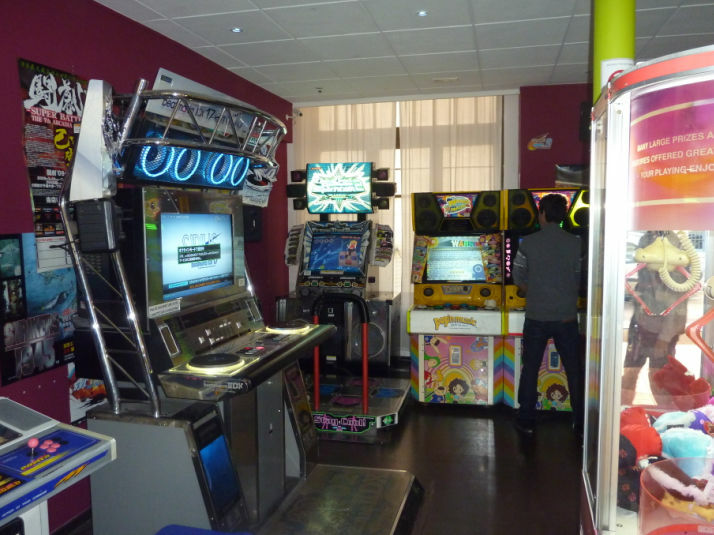 Machines with the numbers #2 through #12 were all originally imported into Italy by Bemani enthusiast Andrea and often rented out to big arcades (on the basis of a simple 50/50 revenue split). Of these machines, 8 currently remain in Italy while 4 made their way into other countries. Most likely the first cabinet to ever be imported into Europe. Originally running IIDX substream, it stayed in Scandinavia for more than 12 years before being shipped into the UK in 2014 and is now available to play at VEGA London. 1999 (? ): Originally imported from Japan as a brand-new substream cabinet by a swedish Bemani enthusiast. 2005: Sold to Uppcon, Uppsala (Sweden), who upgraded it to IIDX12 HAPPY SKY and displayed it to a group of 3000-4000 attendants each year. Here’s a short video of it being played in 2008. 2006: Displayed at the Dreamhack convention in Gothenburg, Sweden. There’s a video of the cabinet running Happy Sky at Dreamhack here. 2012: The last ever Uppcon is held in June that year, and the machine is consequently sold to the highest bidder, a young man from Järfälla, north of Stockholm. 2013: The buyer of the machine, now known as DJ HeadphoneNinja, upgrades it to IIDX18 Resort Anthem and begins uploading videos of himself playing on his newly aquired machine onto Youtube. Later that year, he orders an upgrade kit to IIDX19 Lincle, but soon loses interest in the game after applying the upgrade and decides to sell the machine. 2014: In April, HeadphoneNinja puts both his pop’n and IIDX cabinets up for sale on sows, where they are quickly snatched away by a british user called Skype and later paid for by him and al24k, who organize a transport of the two cabinets to the UK. In August, both machines finally arrive and are made publicly available at Astro City Southend. In late September, the machine is upgraded to IIDX22 PENDUAL. 2015: Following the end of ProgrammedWorld in early March, the machine is first reverted to running IIDX19 Lincle, and later to IIDX18 Resort Anthem due to sync issues with Lincle. Later that year, the machine got relocated to VEGA London. 2003: Imported as a then brand-new 8th Style machine and rented out to the “Central Park” arcade in Rimini at the eastern coast of Italy. 2012: The rental contract is canceled and the Central Park buys the machine from Andrea, updating it to IIDX18 Resort Anthem. 2014: Around fall, the machine is upgraded first to IIDX21 SPADA and, a short time later, to IIDX22 PENDUAL. 2015: Following the end of ProgrammedWorld in early March, the machine version is reverted to IIDX18 Resort Anthem again. 2018: The machine is removed from the location. Current location unknown. 2003: Imported as a 7th Style machine and rented to Extraball, Rome. Apparently the most popular IIDX machine in all of Europe for more than 3 years, with an active playerbase of up to 50 (!) people. (? ): Extraball cancels the rental agreement and the machine is sold to a currently undisclosed buyer. 2003 (? ): Installed at Chat&Games Puglia, Italy. Gameplay videos of this machine are available on Fraws87‘s Youtube account. 2015: Following the end of ProgrammedWorld in early March, this machine is downgraded to (?). 2003 (? ): Installed at Playcenter in Verona, Northern Italy. 2015: The machine disappears from this location. Current location unknown. 2003 (? ): Installed at Bowling Pegaso, Cremona, Northern Italy. 2003 (? ): Installed at KING CENTER in Torino, Italy. Videos of this machine (from 2008) can be found on TheBlackCarlo‘s Youtube channel. 2003: Imported by Andrea for a bowling alley in Modena, a city just north of Bologna which, back then, had one of the most active playerbases of the country. 2009: Rented out to Neo-Arcadia Toulouse in Southern France, running IIDX17 Sirius. 2011: The owner of Neo-Arcadia stops paying the rent for the machine, but still keeps it at his arcade, upgrading the machine to IIDX19 Lincle. Andrea is looking into getting the cabinet back to sell it to another interested party. July 2015: Neo-Arcadia closes, selling off the IIDX machine to an undisclosed buyer from Lille. 2004 (? ): Imported by Andrea for himself. Location unknown, currently offline and on Lincle. 2004 (? ): Imported by Andrea for a friend. Location unknown. The first cabinet to be imported into Europe after Andrea’s mass-import in 2003 and 2004, this DistorteD machine stood at an arcade near a Moscow Metro station for more than 8 years until being removed and placed in a private garage. 2006: Imported by the russian company “WizardGame” as a then brand new DistorteD cabinet from Japan. It was temporarily housed at the company’s exhibition hall at Varshavskoye sh. 87b., Moscow, Russia, until it was was bought by the “Limpoland” arcade next to the Krylatskoye Metro Station, and moved there. 2014: In late April, the machine was picked up by private buyers and transferred into a privately owned garage somewhere in Moscow. A video of the transport and installation has been uploaded to Youtube and can be viewed here. Early 2015: Plans are made by the local Bemani community to open a gaming and anime café in Moscow where the IIDX would be housed alongside DDR, pop’n music and DDR cabinets. July 2015: The machine is put on display at J-Play Café in Moscow. It was planned to be upgraded to Lincle eventually. July 2017: The location closes, presumably due to a lack of funds. The machine is kept in storage for the following 3 months. October 2017: Together with most (all?) of the arcade machines that used to belong to J-Play Café, the IIDX machine is transferred to the owners of GamerStadium, a gaming hall in the Aviapark Center in Moscow. 2010: Imported by Andrea for a private owner in Italy (original version unknown). 2014: The owner tries contacting other enthusiasts and collectors through Facebook in an attempt to sell the machine. February 2015: The machine is bought by a swedish player and transported to his home in southern Stockholm, Sweden. This machine will be publically available each year during the Retro Games festival in Stockholm. Pre-2013: Part of the Bemani Invasion HQ in Virginia, United States. 2013: Sold to a private bidder somewhere in Germany. Owner does not wish to publicly disclose the location of his machine. 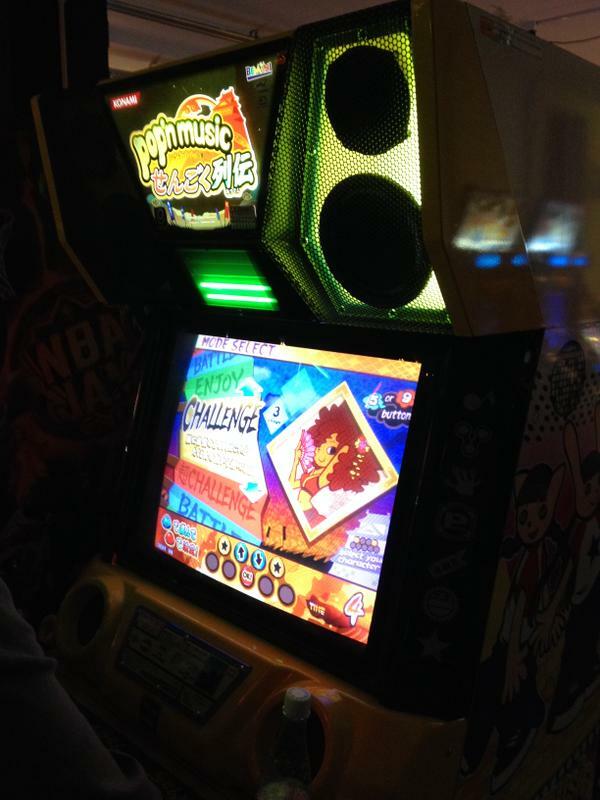 2014: Freshly imported from Japan in October as a IIDX19 Lincle cabinet for operation at ArcadeStreet Paris in France. 2015: Connected to ProgrammedWorld and upgraded to IIDX22 PENDUAL in January. Following the closure of ProgrammedWorld in early March, it is downgraded to IIDX19 Lincle a few days later. October 2016: Following the closure of ArcadeStreet, this machine is sold off to a private buyer in Choisy-le-Roi. A special kind of story is that of the IIDX location test machine which is supposedly the first Beatmania IIDX machine ever built. During the early 2000 years, it’d been shipped around the world a number of times for the purpose of location tests already, and in 2007, it finally arrived in Europe. January 2007: Konami ships their first IIDX ever built to London, UK for a location test during the Amusement Trade Exhibition International (ATEI). A picture gallery of their stand (also featuring GuitarFreaks and Drummania) can be seen here. February 2007: The machine is packed up again and brought to the US for location tests during March and April. 2010: Imported into the Netherlands by the above-mentioned owner of the beatmania 7th Mix. ??? : In private storage somewhere in Italy. 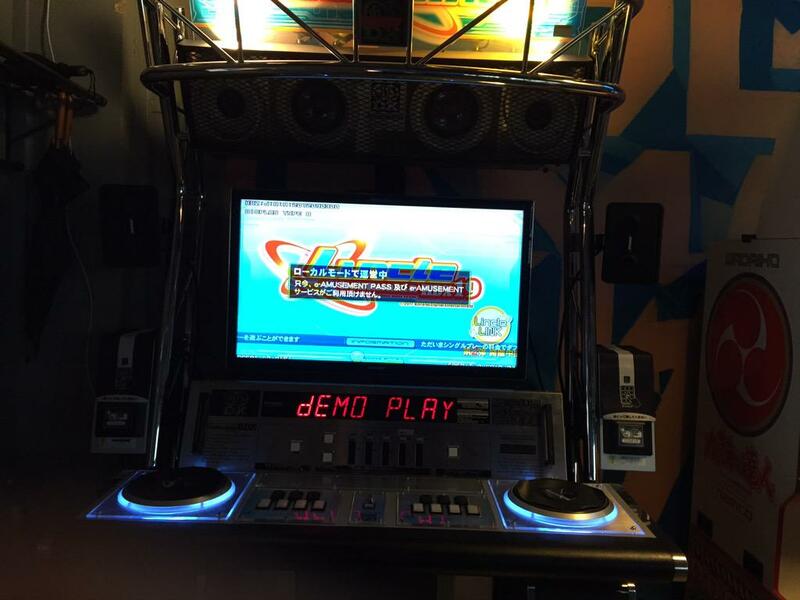 2018: The picture above is posted to imgur along with a few others from the same storage hall, showing a GuitarFreaks 6th Mix, a Mambo a GoGo, and some other Japanese import machines. ??? : Imported into Italy, possibly by Andrea. 2016: A picture of the cab surfaces, showing it in a horribly damaged state. Apparently, both the monitors and the keyboards were broken. What happened to the machine since then is uncertain. The histories of the individual pop’n music machines, as far as they’re backtraceable. Numeration starts with the oldest known machine and moves up to the newer ones. Do keep in mind that after #2, the order is mostly speculation, as concrete import dates are unknown for most of these machines. 1999(? ): Presumably imported into Sweden alongside IIDX #1. Version unknown. 2005: Sold to Uppcon alongside the IIDX machine. Most likely received the upgrade to pop’n music 8 here. 2012: The last ever Uppcon is held in June that year, and, again, the machine is sold together with the IIDX, to HeadphoneNinja from Jarfälla. 2013: The new owner upgrades the machine to pop’n music 14 FEVER!, which is the most up-to-date version the original I/O board could run. 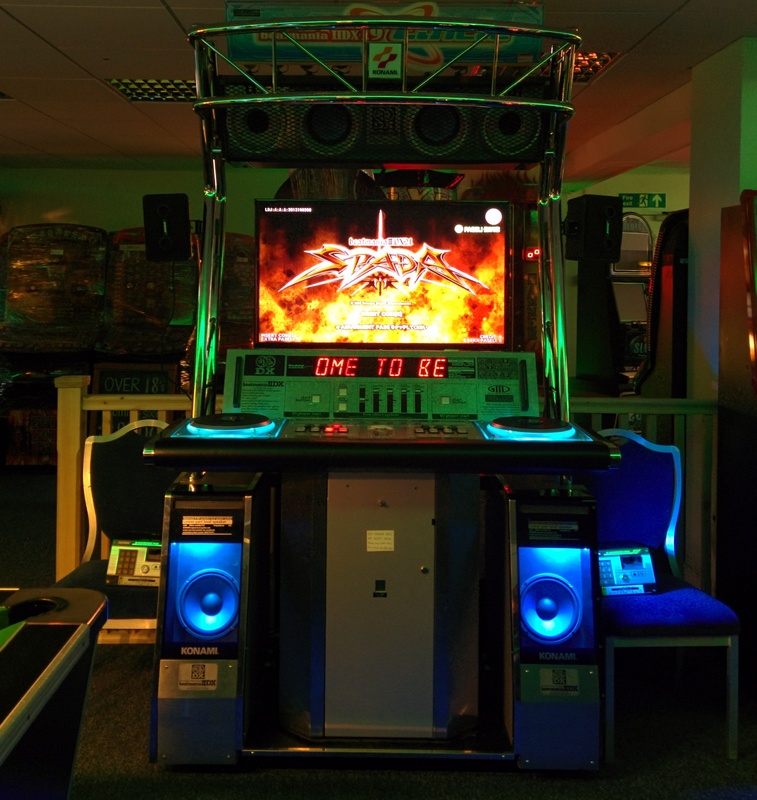 2014: The machine is sold and transported to Astro City Southend together with the IIDX, where it is later upgraded to Sunny Park. 2015: Following the end of Programmed World, this machine too is downgraded to the last offline-compatible version, fantasia. 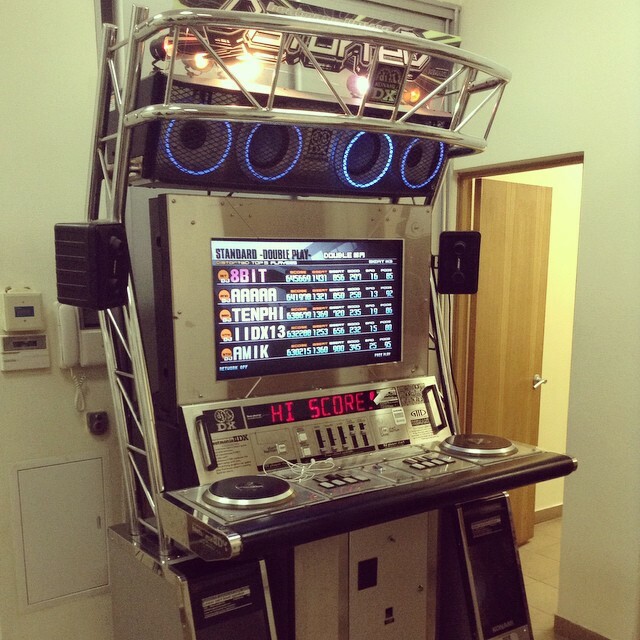 Later that year, it is moved to its new location at Angel, London, together with the IIDX. 2003: Installed together with the IIDX machine at King Center, Torino, in northern Italy. Presumably imported the same year by Andrea. 2003: Imported by Andrea for a bowling alley in Modena, a city just north of Bologna, alongside a IIDX cabinet. 2011(? ): Possibly imported by the french Karaoke bar Laku Laku, which opened in February that year. Definitely present since mid-2012. 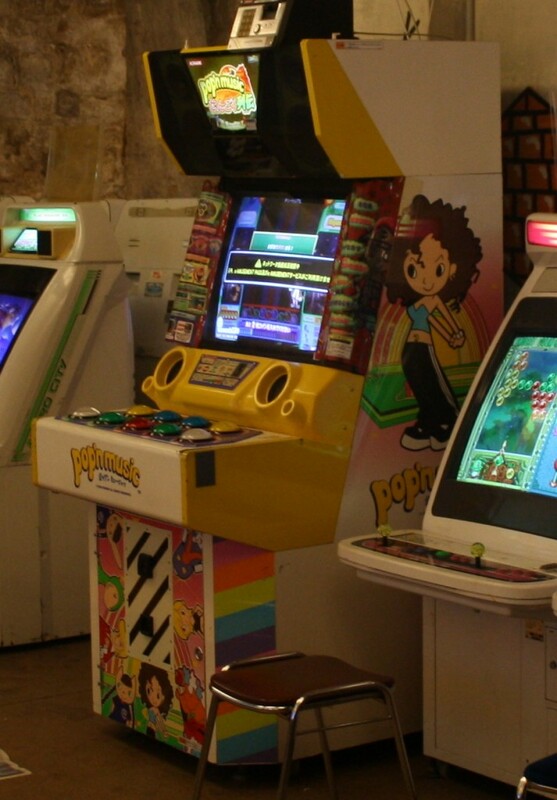 This is perhaps the only korean pop’n music arcade currently in Europe. Features no major differences compared to the japanese cabinets, except for the korean writing on the instruction plate. Currently a pop’n music 17. Pre-2013(? ): Imported(?) by a private person affiliated with GameX Stockholm. On display there during 2013 and 2014. 2015: GameX Stockholm changes its name to ComicCon Stockholm, becoming part of the long-running british ComicCon franchise. Today, it is part of HEY STHLM’s inventory, together with #6. Pre-2014(? ): Imported by a private owner in Sweden. Regular guest at the Stockholm Retro-Games festival since at least 2014. Runs pop’n music 17 THE MOVIE. 2015: Together with #5 part of the inventory of HEY STHLM in Stockholm. 2014: Imported by a member from nozomi.nl, running せんごく列伝 (Sengoku Retsuden). Pre-2015(? ): Imported by a private owner in Espoo, Finland. He runs http://bemani.fi, a website aiming to be a central information hub for finnish Bemani enthusiasts. 2014(? ): Showed up at TonTon Club Amsterdam, the only Barcade in the Netherlands. Imported by RKLOK. October 2015: TonTon Club opens a second location at the Amsterdam Westerpark and proceeds to move their pop’n music cabinet there. 2017: The pop’n music cabinet is out of order and currently not on-location. It is unknown when it will return. ??? : Imported into Europe, most likely either by a French or Italian private collector. 2013: Shows up in a video of Arcade Street Paris shot by toby7ten. Continues to stay here until the closure of the location. October 2016: ArcadeStreet closes and subsequently sells off their pop’n music cabinet to a yet undisclosed buyer. 2015: Part of the opening inventory of Sugoi Helsinki. 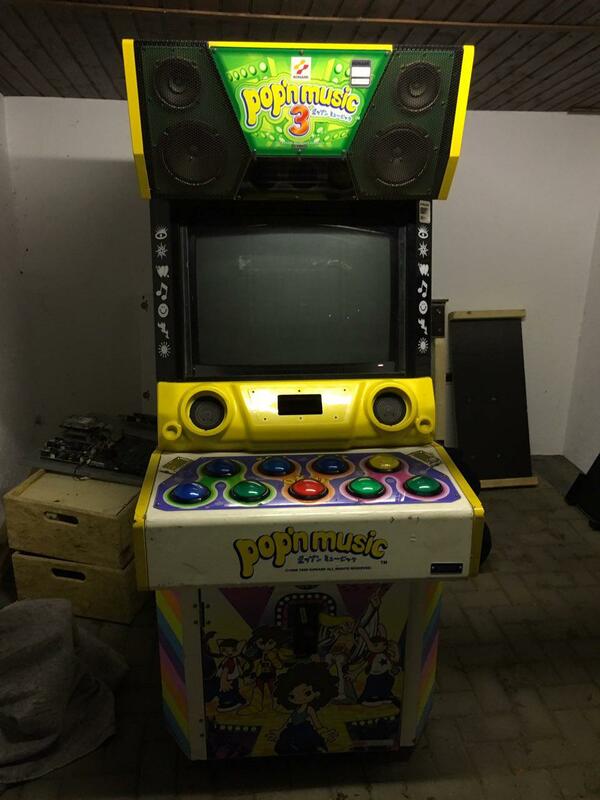 2016: A pop’n music 3 cabinet that turned up at a private sale in Germany. Apparently used to be at an Italian arcade before it was shipped to Hameln, Germany. Currently part of a private collection and being worked on. 2012: Gamespirit Lyon imports a Jubeat copious cabinet, presumably from Japan. You can find videos of it in action here and here. 2014: Newly imported by ArcadeStreet Paris as a Saucer machine in December. Ran on ProgrammedWorld until its shutdown in March 2015. October 2016: Following the closure of ArcadeStreet, this machine was sold off to a yet undisclosed buyer. May 2016: Part of a group import done by the staff of HEY STHLM and VEGA London. I’m counting this machine as the first since it was the first to arrive at its new owner, who was also the distributor for the machines that would go on to Stockholm and London. June 2016: Part of a group import done by the staff of HEY STHLM and VEGA London. This machine reached HEY STHLM around the 3rd of June and was live by the start of the weekend. June 2016: Part of a group import done by the staff of HEY STHLM and VEGA London. This machine reached VEGA London around the 10th of June and was installed the following day. September 2016: Both of these machines were imported by Las Vegas London and installed around the beginning of October, when the DDR Ace locationtest ended. October 2016: Imported by a private collector on nozomi.nl, running Jubeat prop. 2017: Imported into the UK for Arcade Club Manchester. February 2018: Imported by a German private collector. Really great read! You definitely did a lot of research, as a huge nerd I really appreciate all the detail. 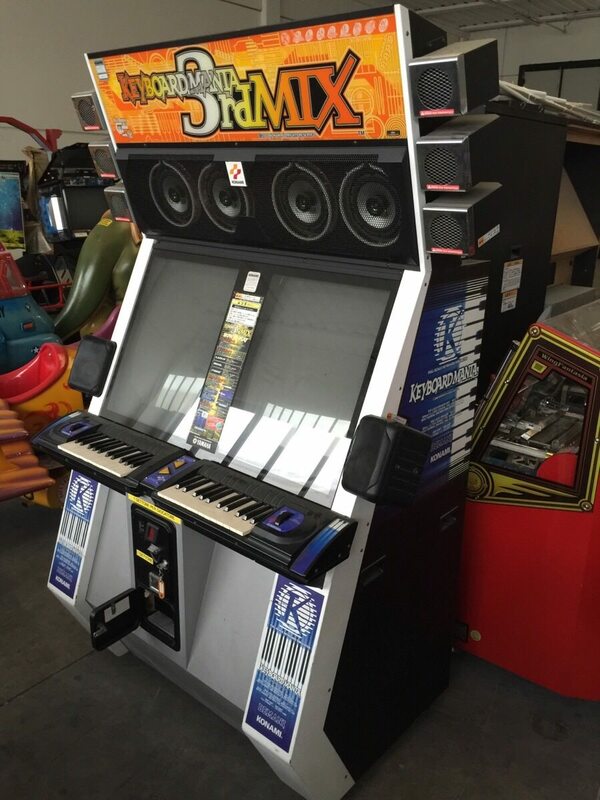 There was a Beatmania 3rdMIX in Bangor, Northern Ireland until around 2010, when it was scrapped. Imported alongside two GFDM v8 full cabinets, one of which still remains, the other sold privately. There was another 3rdMIX in London, in Trocadero, then known as segaworld I believe. It is the very cabinet featured in the video for Five Fathoms (beatmania II version) which debuted in Beatmania IIDX 2nd Style. It was supposedly scrapped in 2011 when the arcade suddenly shut down. Many of the machines from Trocadero moved to Las Vegas in Soho. Trocadero also temporarily had a Jukebeat location test around 2008. Thanks for the info! I’d actually heard of the 3rdMIX and the GFDMs in Bangor in passing before but forgot to add it to the list. Can’t believe I forgot the Troc machine either >.< I'll add both of those this weekend, thanks again!